Fancy thinking the Beast was something you could hunt and kill! You knew, didn’t you? I’m part of you? Close, close, close! I’m the reason why it’s no go? Why things are what they are? That’s the top of a widely syndicated August 25 column by William Watts of MarketWatch. Let’s start with corporate earnings. Regarding that vaunted second-quarter growth, about 95% of it was nothing more than the one-time impact of the tax cut. And the comparable were favorable after the 2015-16 earnings swoon. Trailing-12-month earnings for the S&P 500 were $106 per share in September 2014. For the 12 months ended June 30, 2018, S&P 500 companies reported $117 per share, adjusted for the tax change. That’s growth of just 2.5% per year. That’s no “boom,” by any conceivable definition of the word. How ’bout that economy, then… roaring, yeah? That second-quarter gross domestic product number is just more of the seasonally-maladjusted stuff we’ve been seeing since 2011. There’s no boom about it, either. Recall that 100 basis points – a full percentage point – of that glorious 4.1% was due to Trade War pull-forwards on the export accounts. Folks were scrambling to get their soybean orders filled before prices went up, simple as that. Another 100 basis points – another full percentage point – was about a one-time consumer spend-out of tax cuts funded on Uncle Sam’s tapped-out credit card. I don’t know exactly how the next several months will play out. 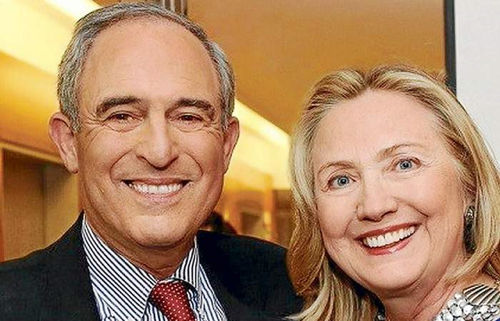 But I do know you can’t find a more contemptible Swamp Creature than Lanny Davis. It’s as if the fetid pools of corruption underlying Imperial Washington belched up their own avenging demon to take the fight right to the Donald’s front door. And, of course, now Davis has leeched onto erstwhile Trump consigliere Michael Cohen. This new tag team represents yet another vector in the Deep State’s unremitting campaign to re-litigate the 2016 election. From the very moment the race was called for Trump in the wee hours of November 9, Davis has been conducting a nonstop campaign claiming Hillary was the real winner. Indeed, save for James Comey’s stab in the back and Russia’s run-of-the-mill-but-successful-beyond-its-wildest-dreams psy-op scheme, we’d be celebrating (lamenting?) a Clinton Restoration. Davis’s objective is clear: to breathe new life into Russia-gate and to give Robert Mueller fresh fodder for his upcoming report. And it’s increasingly likely the midterm elections will result in a “blue wave” that gives Democrats control of the House of Representatives. Imperial Washington is descending into a level of viciousness not witnessed since the Civil War. Indeed, I don’t expect the Donald to take this latest Deep State offensive sitting down. His Trade War will get more fraught. His attacks on the Federal Reserve will grow more wanton. Disregard for unfolding fiscal and economic reality will be even more apparent. By any rational measure, that makes the Donald and his travails a clear and present danger to Wall Street’s bull run. Indeed, it’s a dagger pointed at the very heart of Bubble Finance.